Allan Karl inspires people to take chances, overcome fear, tackle obstacles, and smile — especially in the face of adversity. He knows that the road isn’t always easy, too. Allan spent nearly three years riding around the world, alone on a motorcycle. Along the way and high in the Bolivian Andes, Allan crashed and crushed his leg. But this didn’t stop him. He continued his journey, ultimately logging more than 62,000 miles while traversing five continents and through 35 countries. With Allan’s incredible real-world stories involving ordinary people in the extraordinary circumstances, your audience will be talking about Allan and the truths and lessons he shares for years to come. World traveler, adventurer, photographer, philosopher, author, entrepreneur and inspirational speaker, Allan Karl inspires people to pursue dreams, overcome challenges, tackle obstacles and smile in the face of adversity. And he should know. Allan spent nearly three years riding around the world on a motorcycle. Along the way, on a muddy dirt road miles from anywhere and 14,000 feet high in the Andes of Bolivia, Allan broke his leg in three places. But this didn’t stop him. After a lengthy and painful recovery period, Allan continued his journey, logging more than 62,000 miles over 5 continents and through 35 countries—alone on a motorcycle. Many people often dream about such a journey. Few pursue it. Fear, uncertainty, doubt and lack of trust or belief stand in the way. Allan’s energy, enthusiasm and tenacious drive inspired many as they followed his around-the-world odyssey online with his ongoing collection of his narratives, videos, podcasts and stunning photography. In a forthcoming book, “From the Boardroom to Bolivia and Beyond,” chronicling his three-year odyssey, Allan shares the places and faces he encountered during his journey, including visiting some 43 UNESCO World Heritage Sites. The tales are fun, surprising and always entertaining while serving to remind us to take a chance, pursue dreams and to connect with people—build strong relationships. And when we do, how easy it is to succeed and achieve goals. Through his story, Karl reminds us to trust ourselves and trust others, and never forget that we share one world. His experiences remind us of the importance of supporting and aiding our world neighbors, so together we can make the world a safer and healthier place to live and travel. Karl will also publish a cookbook sharing the unique flavors and foods from many of the 35 countries he visited during his three-year odyssey. “To truly understand different cultures means getting to know the people and the food they eat.” The recipes and anecdotes in his cookbook bring world cuisine to any kitchen—fun and easily. Karl is principal of clearcloud ctc, a creative, technology and communications services consultancy located in Southern California. clearcloud ctc provides clients with brand reengineering, brand communications and online and offline marketing communications strategies and creative services. Prior to starting clearcloud, Karl founded Wirestone, one of the country’s top 50 interactive ad agencies according to Advertising Age. At Wirestone, Karl served as director and chief marketing officer. 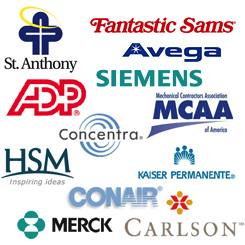 Karl’s client experience includes Apple, AT&T, Hewlett-Packard, Quest Software, SMC Networks and others. A dynamic and inspiring public speaker, Allan shares his message with captivating storytelling and splendid photography that touch themes of adventure, travel as education, personal growth, creativity, innovation, tolerance, environment, effective communication and the importance of pursuing dreams. A graduate of Syracuse University’s Newhouse School of Public Communications, Karl also lectures, speaks and leads business-focused workshops on branding, creative marketing communications and strategic planning. Allan’s most requested and popular presentation. This is not the end. This is just a new beginning. Inspires people to see possibilities instead of obstacles. How to confront fear, take chances and accept challenge to succeed and achieve goals. The rewards reaped through relationship building and connecting with people, regardless of race, religion or culture. All powerful messages told within the context of stories involving extraordinary circumstances with ordinary people delivered through dramatic storytelling choreographed to awe-inspiring and stunning photography, animations and video. Open doors and break down barriers by connecting with people. In a journey that spans 3 years covers 62,000 miles through 35 countries across 5 continents alone on a motorcycle, Allan shows that connecting with humanity and getting to know and trusting people is the best recipe for success.That’s how he tackled virtually every physical, emotional or technical obstacle that stood in his way of his success. Valuable lessons show how the simple and precious gift of human connection will help anyone succeed, realize their dreams and get what they want. A fast-paced program delivered with stunning visuals and dynamic storytelling. Imagine potholes bigger than an elephant. Dusty roads with no water. Riding through monsoons. Playing toreador with taxis and pedestrians in the craziest cities in the world. This is the hardest, most dangerous and challenging journey you’ll ever experience. There are no maps. No GPS waypoints. No signs. No fuel. No water. And the only people you encounter speak a distant dialectic of a long-lost language. Sounds like some days at the office or in the field? Allan shares the wacky, weird, unbelievable, scary and often seemingly impossible situations he encountered and how creativity, innovation and communication got him through.